IT'S ALMOST HALLOWEEN!!! Can you feel the excitement? Can you sense the veil between worlds being lifted? We can! And we can't wait to see everyone dressed up and decked out in all their Halloween glory. 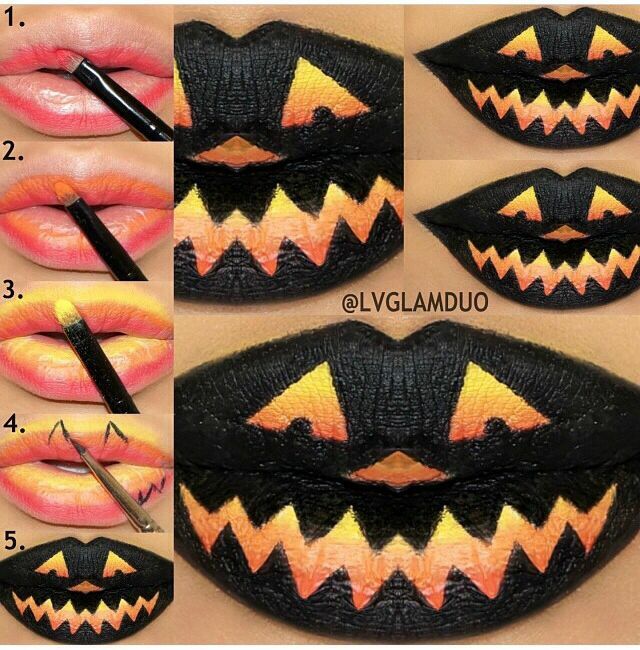 We wanted to take a closer look at something that is way too underrated when it comes to Halloween looks: the lips. 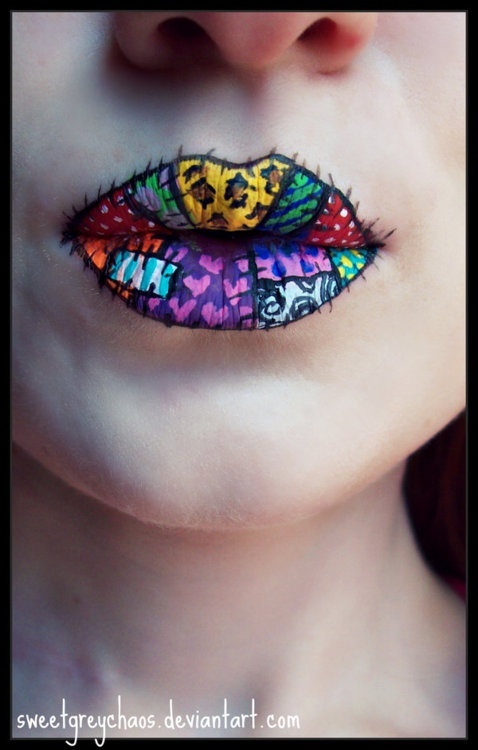 Here are some spectacular lip art ideas to give you those spooky kissers that will set you apart from the rest of the crowd. Click on each photo to be taken to the artist's page. No carving required! Put a spooky jack o' lantern on those smackers and just sit back as the compliments come rollin' in. This look is fashionably freaky and unexpected. You can't go wrong with a metallic lip! Pucker up for the Dark Knight! 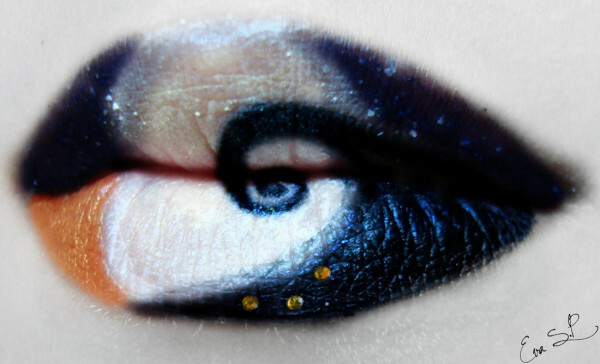 Great for a Batgirl or androgynous Batman look. 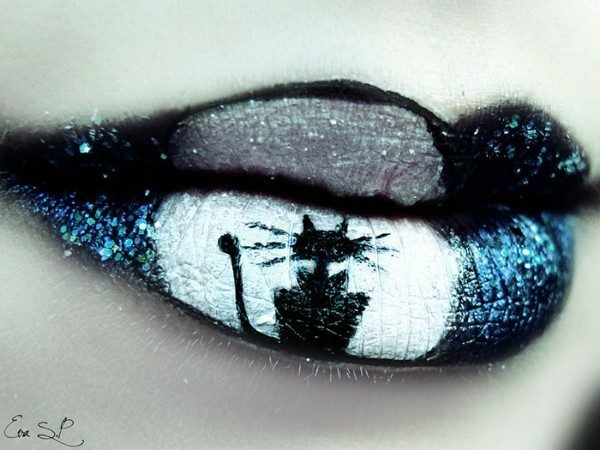 Is it just us, or is this look very reminiscent to that mysterious feline from Coraline? Dexter meets glamazon meets murder victim? Yes please!! We love this unique patched cloth look! Perfect for a rag doll costume or something Tim Burton-esque. This look is transporting us to a dark and spooky world full of ghosts, goblins and ghouls! Who says lipstick can't be art? We may be a bit biased when it comes to this look- Nightmare Before Christmas happens to be one of our favorite movies! Which luscious lip look is your favorite? Let us know in the comment section below. And have a happy Halloween!! !